imAndystorm.com. Singapore Lifestyle. Travel. Food. 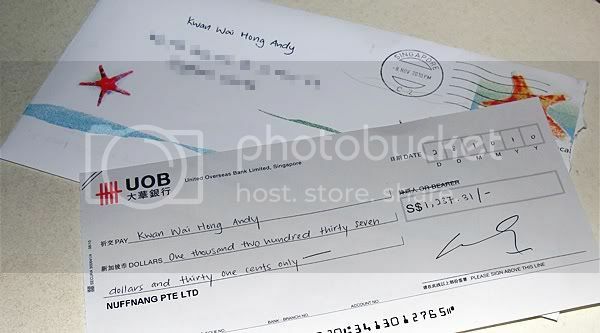 : My @NuffnangSG cheque is here!!!! My @NuffnangSG cheque is here!!!! After waiting for around 1 month for the cheque, it finally arrived!